Today, Georgian Prime Minister Mamuka Bakhtadze held a meeting with Venice Commission President Gianni Buquicchio. 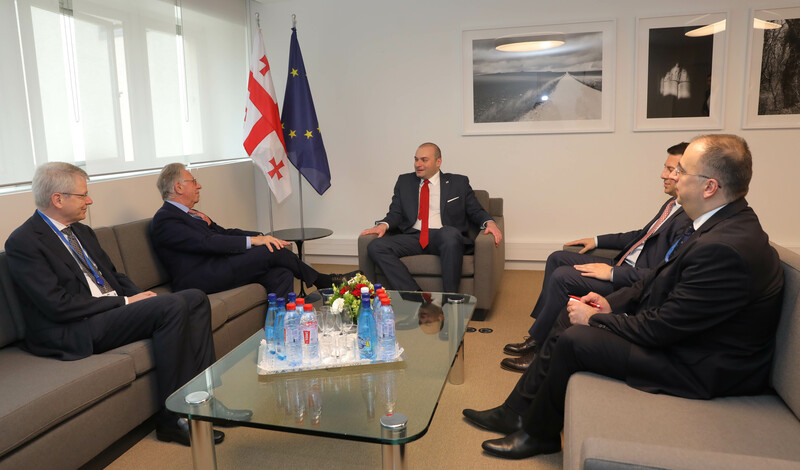 The discussion revolved around the constructive and successfully developing cooperation between Georgia and the Venice Commission. As it was pointed out during the meeting, for years the Venice Commission has been actively involved in the process of stepping up Georgia's constitutional reform, and that the Georgian authorities highly appreciate the commission's opinion. Special emphasis was placed on the role of the Venice Commission's recommendations in the process of upgrading various legislative acts, and hope was expressed that the fruitful bilateral cooperation will continue. The meeting was attended by Venice Commission Secretary Thomas Markert and leader of the Georgian parliamentary majority Archil Talakvadze.